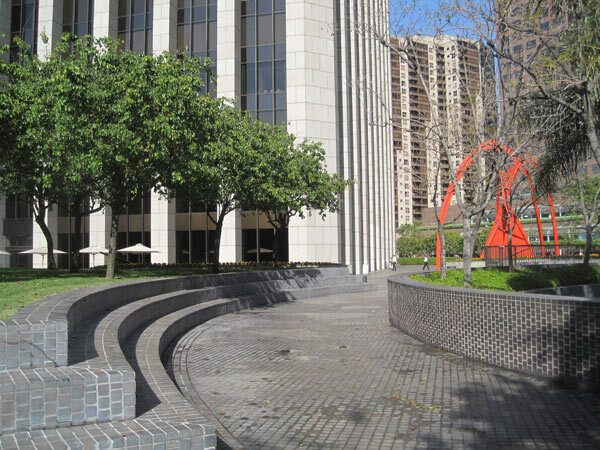 Completed in 1974, this office complex encompasses a full city block on the western edge of Bunker Hill, which until 1991 served as the global headquarters of Security Pacific National Bank. 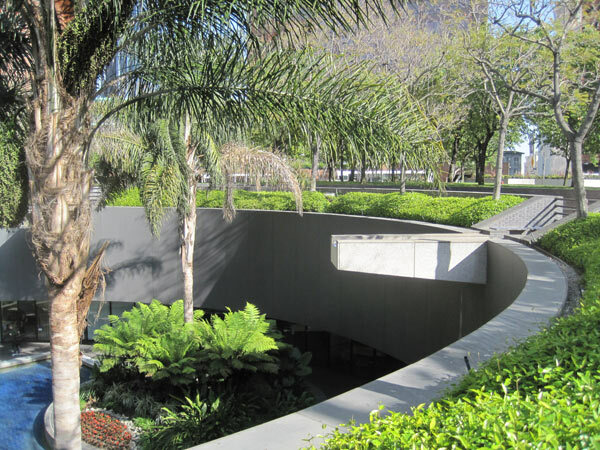 The plaza, a 3.5-acre park built atop a submerged parking garage, is adjacent to the 55-story office tower designed by Albert C. Martin and Associates. 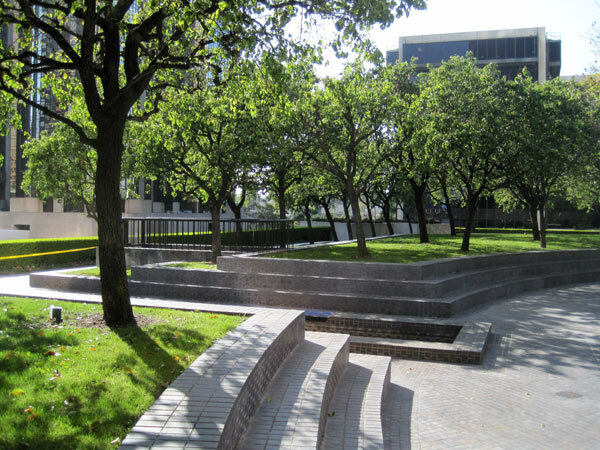 Landscape architect Peter Walker designed the plaza with a symmetrical and geometrical composition and a planting palette inspired by indigenous Mexican and colonial Spanish precedents. The landscape contains several distinct, connected elements. 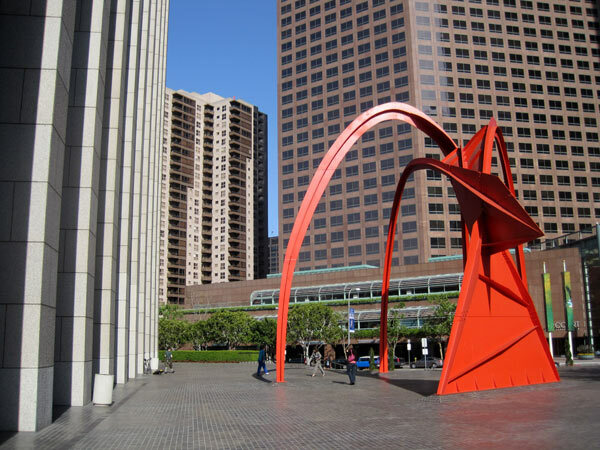 A small paved plaza on the southern side of the building is home to Four Arches, a 42-foot, orange-painted, steel sculpture by Alexander Calder which aligns with the building’s main entrance. 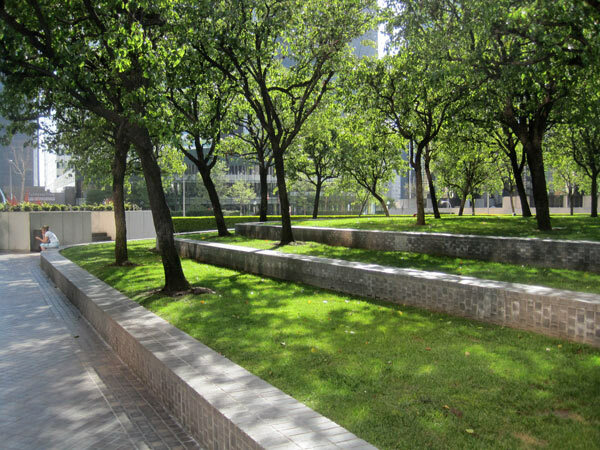 Directly south of the plaza is an informal garden reminiscent of a rural hacienda landscape, dominated by four raised quadrants edged with steps that contain over 200 evergreen pear trees planted in orchard-like grids. The quadrants are divided by linear channels with rows of water jets and lined with flower-filled pots. The channels converge in a central 100-foot-diameter well ringed by a walk and jacaranda trees. 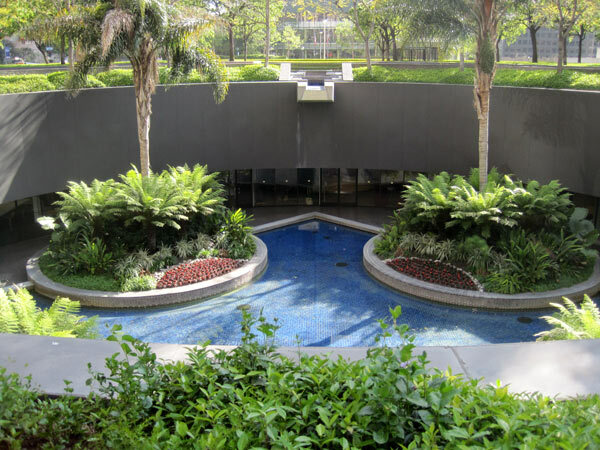 Water flowing from the channels drops down 24 feet into a sunken grotto planted with palms and ferns set on round, walled berms. 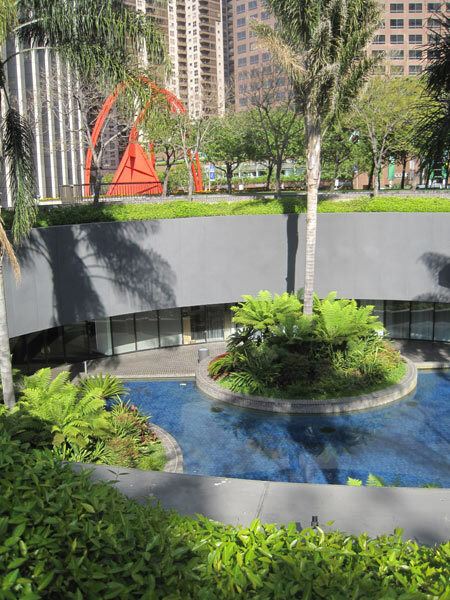 A glass-walled restaurant and a bank under the main level are afforded views of the grotto through the cascading water. Half-circular fountains mark the four corners of the property. 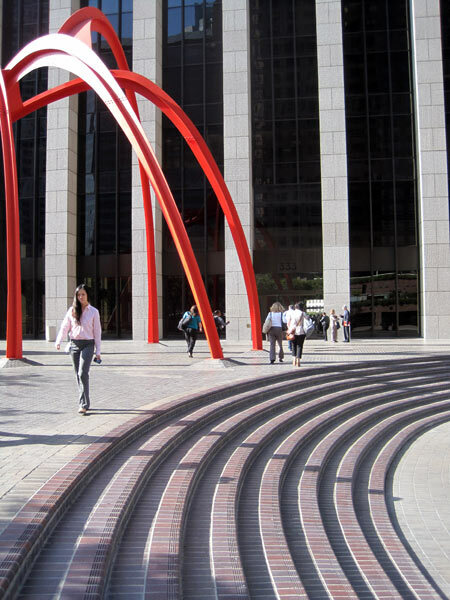 In 2003 the complex was renamed Bank of America Plaza, reflecting its current tenancy.